Looking for a baby shower gift or something for your own precious bubba? 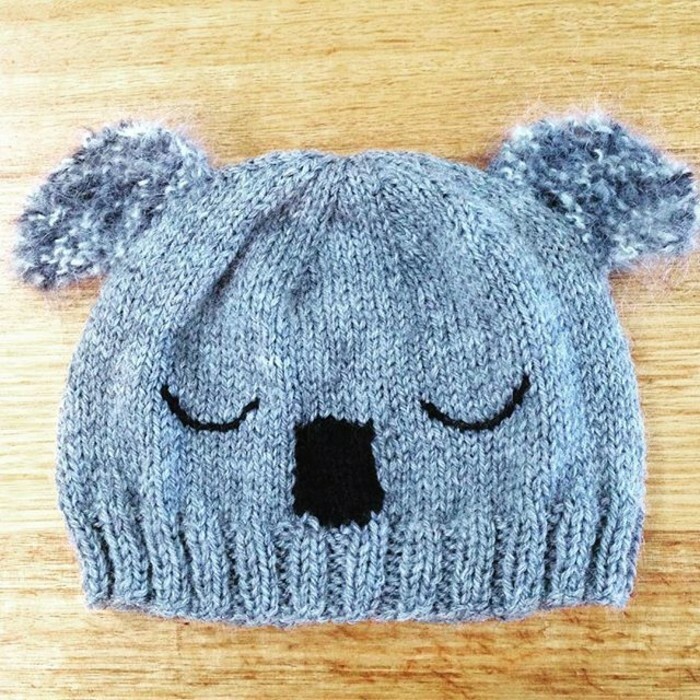 I've designed this cute baby beanie (hat) based on Australia's unique (and sleepy) koalas! It's a beautiful soft grey colour with a slight brown hue which closely matches the natural colour of a koala. 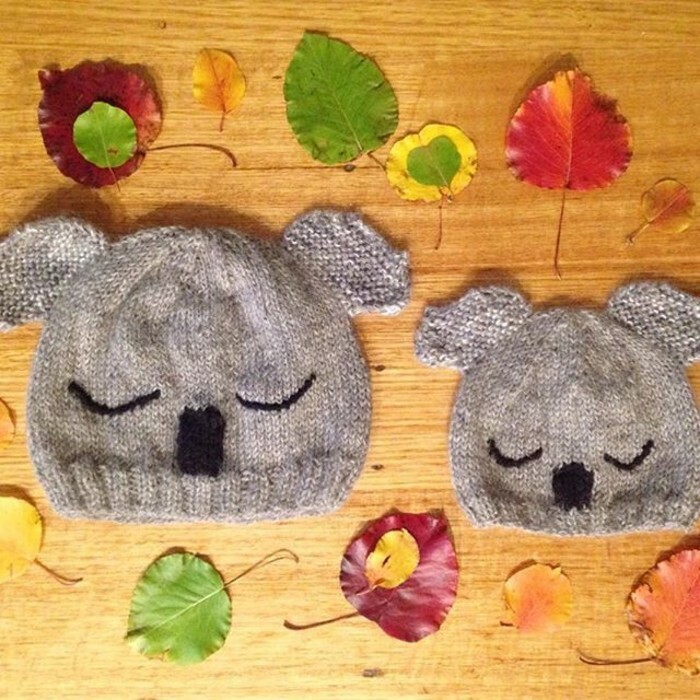 I hand-knit each beanie from beautifully soft alpaca yarn which is perfect for new babies. The ears are from mohair or brushed alpaca and the nose and eyes are knitted and embroidered using Australian organic merino wool. The beanie looks so adorable when worn by a small person! The alpaca wool I use is grown in NSW and spun in NSW, Australia - not far from Canberra (Australia's capital) where I knit the beanies. It is un-dyed and the colour is purely from the natural alpaca fleece. Australian alpaca is a wonderful fibre and is light and warm, perfect for beanies. Iron on wool setting if required. All Wombat & Poss items arrive at your door packaged beautifully in recycled paper and string. WHAT ARE MY CUSTOMERS SAYING? "Beautiful hat, quick postage. Thank you so much!" "Wonderful. My son loves it!!! Fits him perfectly and so soft! Beautifully beautifully knitted!"